Take a break from your hectic spring schedule to catch up with APLDCT members and to tour the beautiful displays at the Colorblends trial gardens. 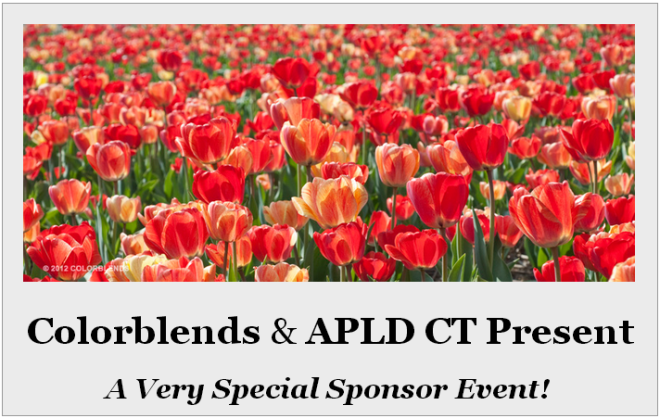 While enjoying these colorful spring bulb gardens and gathering inspiration for next year, you can reconnect with old friends and meet some of the newest members of APLDCT. In addition to seeing tried and true, we will have a unique opportunity to see new varieties of bulbs as they are being trialed in our area.